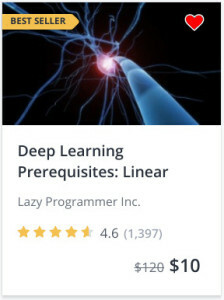 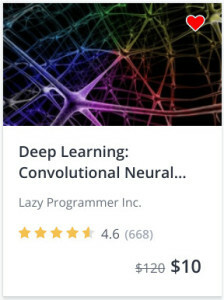 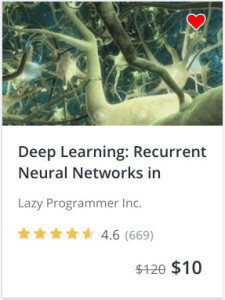 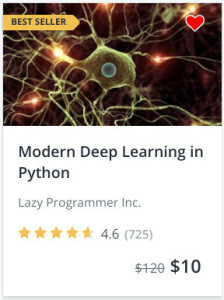 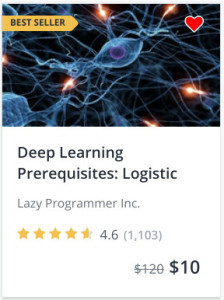 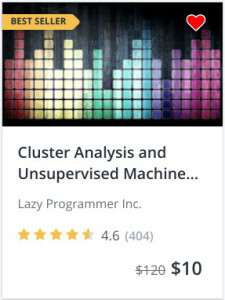 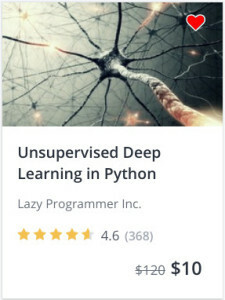 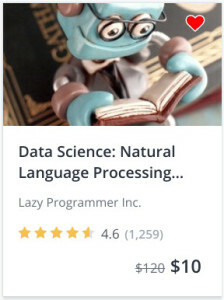 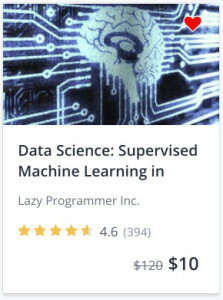 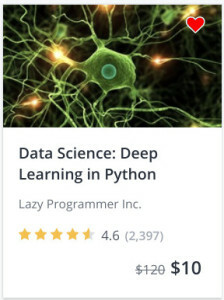 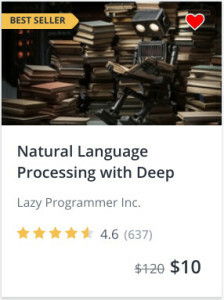 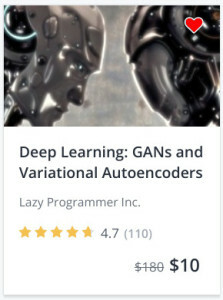 Deep Learning St. Patrick's Day 90% OFF Udemy Coupons! 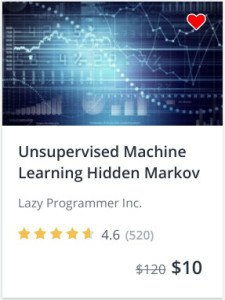 Who needs luck when you have machine learning? 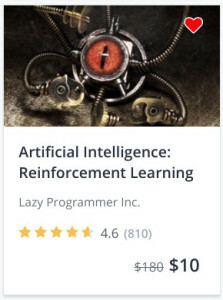 I’m hard at work at my next course, so guess what that means? 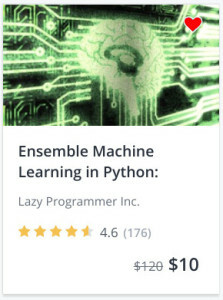 Everything on sale! 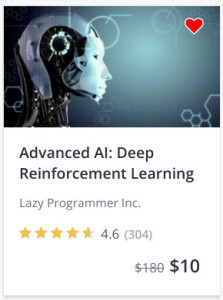 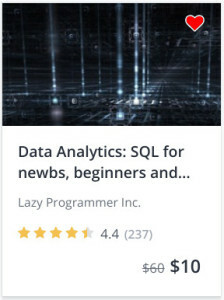 For the next 3 days, ALL courses on Udemy (not just mine) are available for just $10.99! 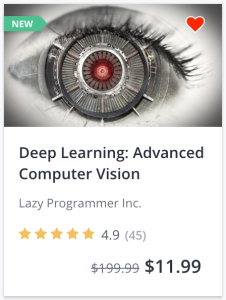 For my courses, please use the coupons below (included in the links), or if you want, enter the coupon code: MAR2018. 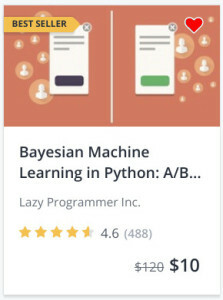 For prerequisite courses (math, stats, Python programming) and all other courses, follow the links at the bottom.